Today is May 1st, 2015. 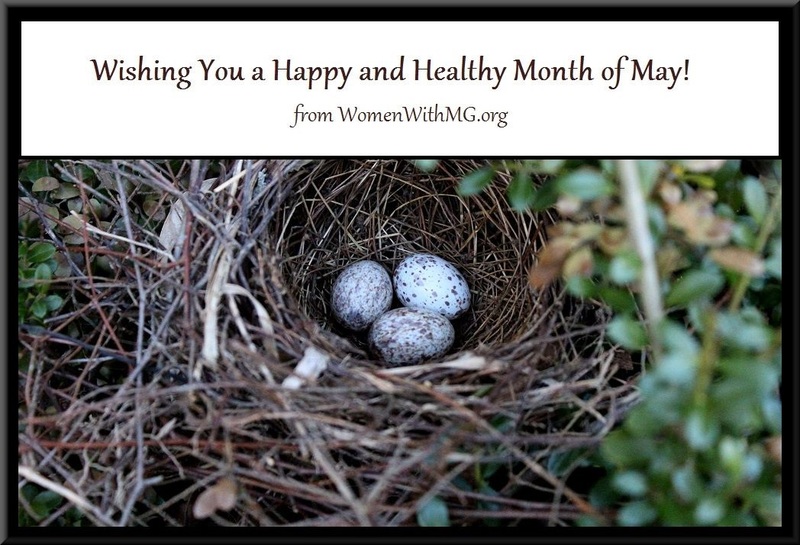 In my area the skies are blue again, things are turning green again, birds are building their nests, and we at WWMG are gearing up for a successful MG Awareness Month in June. We wish you all a happy and healthy month of May! Next → Next post: Introducing Marcy Grace, WWMG’s MG Awareness Bear! That is such a sweet picture. It looks like spring here too. It makes a person feel good!